Civilian freighters are versions of passenger aircraft. Some of them, are production built and others, are used passenger aircraft converted to freighters (P2F). Converting military or passenger aircraft to freighters is going back to the early era of commercial aviation. In 1919, American Railway Express, used a converted Handley-Page bomber in an attempt to fly 1,100 pounds of freight from Washington, D.C., to Chicago. In reality, Air cargo did not pick up significantly until after WWII. With plenty of ex-military aircraft such as DC-3/C- 47, DC-4/C-54s on the market in the postwar period, it wasn't surprising that some of them were converted to commercial freighters. Later, other piston engine aircraft, as the Lockheed Constellation and DC-6 (including the Freddy Laker Carvair) were also converted to commercial freighters. The turboprop era was dominated by two P2F aircraft: the Lockheed L-188 and the Convair 580/5800. Years later, there were also additional turboprop P2F programs: ATR-42/72, BAe-748/ATP, SAAB 340 and few Bombardier Q400's. Quite a few jet models were feedstock to a number of P2F programs: B727- 100/-200, B737-200/-300/-400, B707, B747-100/-200/-400, DC-8, C-9, DC-10, MD-11, MD-80, BAe-146, A-300B4, A-300-600, A-310, and few Bombardier CRJ's. Nowadays, there are several P2F conversion programs in the pipeline: A-320/A321, A-330, B737-700/-800. When an aircraft is almost "reaching its age" and have completed its useful operational service as passenger jetliner, it can either be scrapped or recreated again in a different segment. Converting passenger aircraft into a freighter, is a way to extend the economic life of an aircraft. Quite a number of cargo airlines choose to operate a first-hand quality converted freighter. The converted freighters meet the high dispatch reliability required, they are more economical for the company and they can gain the same amount of revenue without using an expensive production freighter. Historically, more than 90% of narrowbody freighters are being converted aircraft. Mid-size freighters are divided 50:50 between production and converted freighters. Only one-third of the large widebody freighters are converted passenger aircraft. From the 2008 crisis, the trend is to increase the portion of the new production freighters in this segment (converted freighters are considered less fuel efficient). Most conversions are to freighters, but few small size jets were converted to combis (cargo and passengers on the main deck) and fewer to Quick Change (Dual-use aircraft carrying passengers in daytime and freight at nighttime). BCF – Boeing Converted Freighter. BDSF - Bedek Special Freighter. PCF - Precision Conversions Freighter. 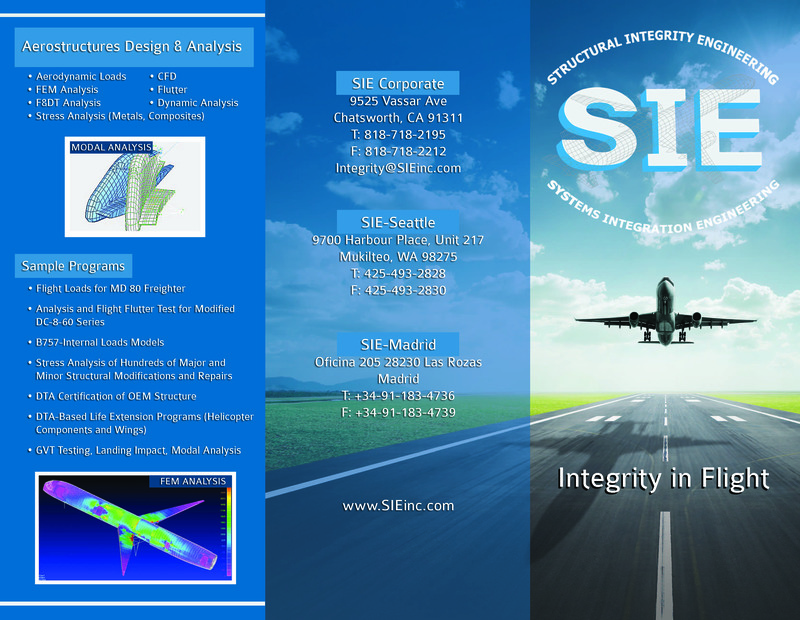 • Changing the aircraft mission and configuration and adapting it to a new market. • Major structural modifications as required for the new configuration. • Installation of specific systems as required for the new missions. • Certification - STC (Supplementary Type Certificate) or amendment of a Type Certificate (TC). • Removing from the passenger aircraft anything that is not needed anymore, like interiors equipment and furnishings (seats, galley, toilets, stowage bins, side and ceiling liners, carpet flooring, oxygen, overhead consoles, entertainment system act.). • Removing or deactivating of passenger doors. • Replacing or reinforcing floor beams as required to meet cargo loads requirements. • Installation of the Main Deck Cargo Door (MDCD) with safety vent doors and replacing or reinforcing surround structure. If there is no reason that prevents it, the MDCD is placed on the fuselage left-hand side in front of the wing. • Installation of hydraulic/electric MDCD operation system (usually hydraulic on narrowbody freighters). • Installation of 9g rigid barrier / Net. • Modifying area behind the cockpit for supernumerary seating. • Modification of the cargo compartment to "Class E". • Installation of one-minute smoke detecting system. • Installation of non-powered / powered (powered in large widebodies) Cargo Loading System (CLS), allowing loading of various arrangements of ULDs cargo within the main deck. • Modification cockpit equipment and avionics as required. • Installation of lightweight window plugs. - 10 - 20 years old. - Reliable airframe / engine. - Compatibility with other freighters (iinterline). - Production freighter version as a modeel for design could be an advantage. Some Key Considerations for Particular Aircraft Stability for Conversion. - Aircraft age (barrier in certain counttries), hours/cycles. - Fleet commonality - sister ship. - Remaining design life (hours, cycles, age). - Maintenance condition and “history”. - Weights / CG / structural limitations. - SSID Program or other program effects. - Impact upon existing AD’s and SB’s. - Relevant STC / Factory Modes. - The aircraft manufacturer (OEM). - A third-party contractors or independentt companies that enter into cooperation agreements with the OEM. - Third-party contractors that develop theeir conversion solutions independently. In recent years, as a result of Boeing charging "access fees", and the modern aircraft technical complications (Fly-By-Wire, etc. ), more and more conversion houses work in collaboration with the OEMs or authorized by the OEMs. Boeing and Airbus, the OEMs, sometimes provide the engineering task for TC Amendment / STC. EFW, is Airbus conversions house. In recent years EFW teamed with ST Aero). Boeing is using a case-by-case model for their conversions. For example, ST Aero and IAI (757 for DHL), ST Aero (757 for FedEx), Aeronavali and ST Aero (DC-10, MD-11), TAECO, KAL Aerospace and SIA Engineering (747-400BCF), and ST Aero (767-300BCF). 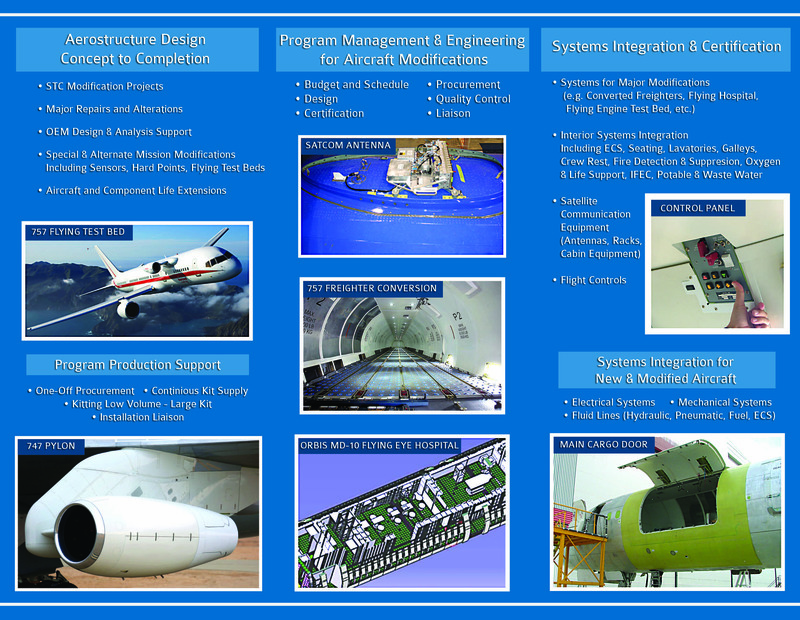 Non-OEM companies using different methods, such as IAI, use their strong in- house engineering capability. Others, as Precision and AEI, are outsourcing the engineering. IAI, Pemco, and AEI use their facilities for conversions, but also, outsource conversions touch labor for less expensive sites. The Non-OEMs use similar methods for the conversion kit fabrication. Major Non-OEMs in recent years are: AEI (737-300/-400, MD-80, CRJ), Aeronavali (MD-11, DC-10 for Boeing), IAI (BDSF-747-400, 767-200/-300, 737- 300/-400), Pemco (737-300/-400, 757-200), Precision (PCP-757), ST Aero (DC- 10, MD-11, 757, 767, for Boeing), TAECO (747-400 for Boeing, 737-300/-400 for Pemco), and PACAVI (A320/A321). Among the conversion sites ("touch labor") in recent years are: VEM (Brazil), GAMECO, AMECO, TAECO, STAECO, Boeing Shanghai (China), Flightstar, HAECO, Dotan, Goodyear/AeroTurbine (USA), COOPESA (Costa Rica), and KF Aerospace (Canada). (The price of a new production medium widebody is over US$70 million, and a new production large widebody is over US$150 million). In the jet era of commercial flight, two types of converted freighters accompanied the development of the Air Cargo industry. The first was the B-727 which was the backbone of small and medium freighters (106 converted B727- 100 and 350 converted B727-200). The second, in the larger size segment, was DC-8 in which more than 200 (all models) were converted to freighters. Quite a number of 727s/DC-8s were successfully operated for more than 40 years. When the time comes to phase them out, there were no aircraft with similar sizes that can replace them and the industry had to move to larger or smaller aircraft. Over the years, there were other P2F programs, but none have come to the 727’s/ DC8's figures. Some P2F programs have reached significant numbers: B- 737-300/-400 (more than 220), B-757-200 (more than 190), MD-11 (121), DC-10 (106). Airbus A300B4– this model was not considered popular as a passenger aircraft and airlines phased them out relatively young. But it was at the right time to become a freighter as no other aircraft in its size was available. 74 A300B4s were converted in two P2F programs (1987-2000) and many of them have flown as freighters for more than 10 years. The main cause was timing. Boeing B747-400 – Industry experts predicted that the converted 747-400 would be a success as a favorable replacement for the aged 747-200 freighters. However, the 2008 aviation down-time, the high fuel price and the low-yield market made it difficult to compete with the more efficient 777 and 74-8 freighters. A total of 79 747-400s were converted. From 2012, the demand shrunk to zero. Quite a number of converted 747-400s along with a production 747-400 were stored. It wouldn't be an exaggeration to say that the 747-400 P2F programs died and there is no way they come back to life as they missed the "conversion window". Again, the main cause is timing. Boeing B767-300 – Industry experts predicted P2F a rosy future. Two conversion programs were established. In June 2008, ANA took delivery of the first 767-300BCF from Boeing, and in Jan. 2010 euroAtlantic airways took delivery of the first 767-300BDSF from M&B Conversions (a joint venture company of IAI Bedek and Mitsui & Co. of Japan). Unexpectedly, only 20 aircraft were converted. The rate of conversions in both programs was very low (some years – zero conversions). A shortage of 767-300 feedstock was the main reason. Long delays in the 787 program caused airlines to continue to fly the 767-300s that had to be phased out and become the feedstock for conversions. The shortage of 767-300s caused high prices for the few proposed for selling. Again – timing. But it seems that the 767-300 is a “late bloomer”. In 2015 the two conversion programs received orders and the conversion lines came back to life. Jacob Netz is a Senior Consultant at Air Cargo Management Group. Previously worked for Israel Aerospace Industries - BEDEK Aviation Group as the Analysis & Strategy Director of Freighter Conversions.